News on events related to Slam Fighter II and Team Dogpit! 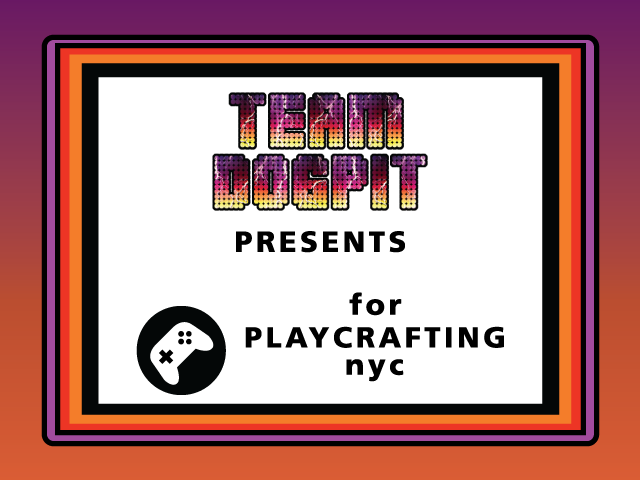 It has been an exciting day for Team Dogpit! Not only was Slam Fighter II one of the games demoed at the Playcrafting Expo today, we have a hot new build ready to roll out with some awesome new features! In versus mode, player two can now select the same character as player one. Give it a shot — you may be surprised by the result! B. Stag is now voiced by NYC-based actor and improv comic Colin Marsh! Get it here and get ready to slam! The dev team of Slam Fighter II will be wandering the floor of Oni-Con on the 31st of October and the 1st of November! This con coincides with the release date of a fresh update to Slam Fighter II, which will add some hot new gameplay features and a few surprises as well. We will be handing out physical copies of the latest and greatest version of the game at the con among other Slam Fighter goodies, so if you happen to spot us be sure to say hello! Slam Fighter II at LI-CON 2: Aug. 15th-16th! Do you enjoy your friends? Do you enjoy your friends at conventions? Do you enjoy smacktalking your friends at conventions with fiery slams to blast their fragile egos to a pile of ash? OF COURSE YOU DO. And, that’s why you should come play a round of Slam Fighter II this weekend at LI-CON 2 in Ronkonkoma, NY! Voice actors Melanie Ehrlich and Michael A. Zekas will be bringing the beatdown at the con this Saturday and Sunday, the 15th and 16th in between some hot panels on adventures in voiceover. Go read up on the fun and grab a badge. We’ll see you there. P.S. Voting is still going on for the SAGameDev Challenge X Community Choice Award! If you have a Something Awful forum account and you enjoy Slam Fighter II (You know you do. ), please show your support by voting for us! The vote is open until Saturday the 15th at 10PM EDT/9PM CDT!